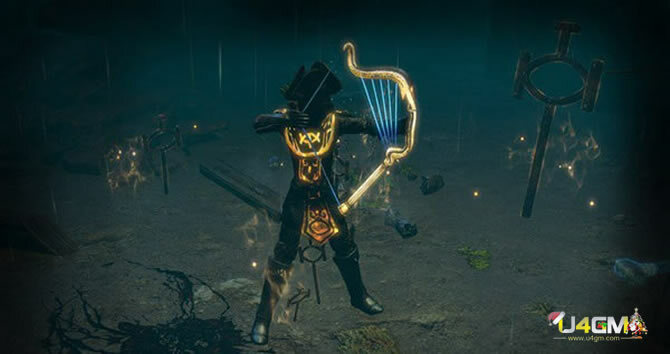 In Path of Exile, it is no doubt about the threat that The Guardians possess, unlike buy exalted orbs, as they serve as four of the toughest bosses you’ll come across. These four bosses are broken down into individual battles with The Minotaur, Hydra, Phoenix, and Chimera. I am ranking the guardians for this build from easiest to hardest. 1. Chimera, pretty much a joke fight for ed, adds are the only dangerous part here. After each add phase, The Chimera will reappear, and you’ll need to quickly get your wits about you and head through the smoke that summons to find him as quickly as you can, as you’ll be subjected to significant damage otherwise. 2. Phoenix, a pretty simple fight aswell. Don’t stand in big boom boom and don’t roll ele weakness unless ur massively overcapped. Phoenix’s big BOOMBOOM attack doesn’t actually do that much dmg, but it gives you a -50% resistance debuff just like ele weak. 3. Hydra, Pretty annoying fight,the frostbolts in the arena kill your wither totems really fast so max dmg uptime is fairly low. Stand on melee range on him and dance around when he does his attacks, his attacks all have a pretty long windup so they are fairly easy to dodge if you are paying attention. If you lose your focus you can die VERY fast. 4. I rank Minotaur the hardest just because of the slow from shocking beams that cannot be dispelled afaik and his deadly attack burrow where he digs underground and reappears on you. This can easily hit you multiple times for 15k+ dmg on a single burrow so be extremely careful. You will pose a tremendous challenge if you aren’t prepared, therefore, it is important for you to read the above article completely. Meanwhile, having more poe orbs, you will become more powerful in game.